cement rotary kiln production line project(1500t/d )--China Pengfei Group Co.,Ltd. The production method is dry process. A rotary kiln(φ3.5*54m) production line with five-stage cyclone pre-heater and decomposition furnace will be adopted. The production capacity is 1500t/d for clinker, while 500,000t/a for Portland cement when mixed with gypsum. The technology and equipment adopted can produce 32.5MP and 42.5MP types of cement in accordance with Chinese Standard GB175-1999. They can be adjusted according to market demand. The S content of mazut： 2.5 %. According to raw material and fuel conditions, the following materials will be used for material blending: limestone, Silica, and iron powder. This production line adopts advanced technology and equipment in 1990s to raise technical level and to ensure design indexes. New five-stage cyclone pre-heater system, high efficiency air girder grate cooler, multi-passage pulverized coal burner, Davison heat temperature fan, Luqi BS930 electrical dust collector, as well as chain-board elevator, chain conveyor adopted in this production line can ensure that the technology is advanced compared to other production lines with the same scale. If it has not bad influences on completeness，continuity and reliability, process procedures will be simplified to enhance production management, reduce troubles and lower investment. Top of silos are without covers, heat temperature fan and dust collectors are open arranged and glass fiber rainproof covers instead of roofs will be set for belt conveyor passages. There will be no building for bucket elevator. If it has not bad influences on normal production, by properly reducing storage periods for all raw materials, semi-product and finished product and adopting shed to store those materials and products, civil engineering costs will be greatly reduced. Frame for pre-heater at kiln inlet will adopt steel structure to save investment, accelerate erection speed and beautify building. 3.4 Measures have been taken to save energy and reduce consumption. using chain-board elevator and air slides, reliability of the system is enhanced and conveying energy consumption is decreased. 3.5 All necessary parts will adopt measuring equipment to guarantee scientific management. For example, there are measuring equipment at those parts such as raw meal blending, raw materials entering into plant, raw meal feeding to kiln, pulverized coal feeding to kiln, clinker outgoing kiln and clinker outgoing silos. 3.6 Effective measures have been taken to guarantee strict environment protection standards. Different efficient dust collectors are set at all dust producing points according to different characteristics of waste gas. kiln(φ3.5×54m) will be used as burning equipment. Five-stage cyclone pre-heater and decomposition furnace will be adopted at kiln inlet. Single-stage hammer crusher is used for limestone crushing. This type of crusher is suitable in crushing medium strength ore such as limestone, marlite, slag, gypsum and coal. It can crush big ore to required size. Moreover, it can crush ore which has moisture and earth in it because it adopts discharging grates in the same direction. It has special iron feeding protection device, which can rebound the uncrushed metals to the feeder, so the operator can stop it if he hears peculiar sound to deal with this matter. Limestone crushing will adopt TKPC16.18 single-stage hammer crusher adopted. Feeding size is 800mm, production capacity is 380t/h and annual usage rate is25.51％. For 1500t/d cement production line, available raw mill system is HRM2800m mill system. φ15×50mMF silo both can homogenize and store raw meal will be adopted. Its capacity is 6500t and storage period is 2.86days. Jiangsu Pengfei Group Co., Ltd has the great comprehensive ability to provide the best quality services on turn-key basis with the complete equipment、 the installation and the debugging for the new type dry process rotary kiln cement factories under the daily capacity of 8000ton、5000ton and 2500ton and compound fertilizer plants under the annual capacities of the 300000ton. 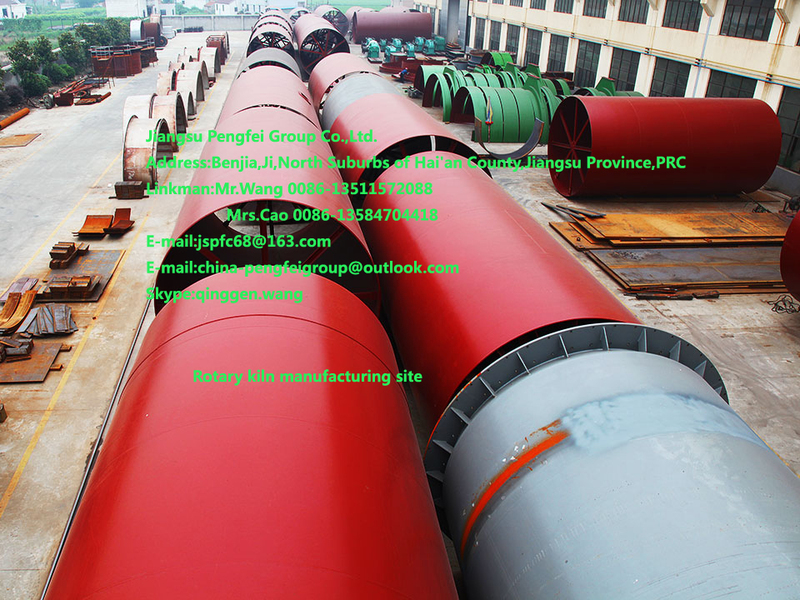 The “Pengfei” brand rotary kiln cement complete equipment have been sold exported to Russia、The Kingdom of Denmark、Germany、kazakhstan、Mongolia、Ukraine、Uruguay、uzbekistan、 Bangladesh、Pakistan、Laos、Peru、India and so on . MD export project are X18, X519, Son La, Lang Son, Da Ye, Chai Shai Cement factories in Vietnam, Tiger-Head, King Elephant Cement Plants in the union of MD and so on . All of these cement complete equipment production line have been widely praised by the international friends. 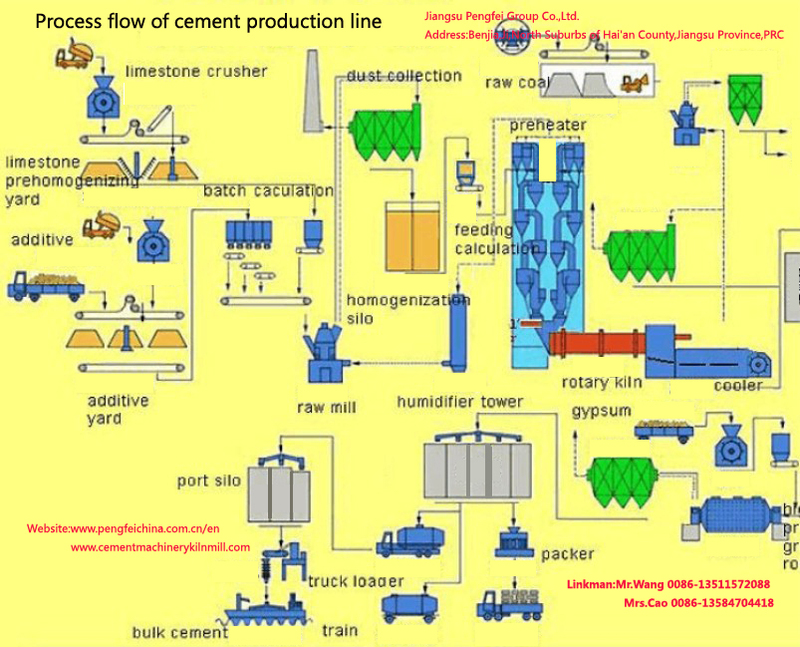 The key words are : Jingsu Pengfei Group、cement machinery、cement equipment、cement machinery equipment、cement complete equipment、cement machinery complete equipment、mining equipment、Tube mill、Ball mill、Cement mill、Coal mill、Slag mill、Raw mill、Mining mill、vertical mill、roller press 、grinding equipment. The leading products are the cement machinery equipment such as the “Pengfei” brand rotary kiln、ball mill、Tube mill、Cement mill、Coal mill、Slag mill、Raw mill、Mining mill、cooler、vertical mill、roller press、grinding equipment、conditioning tower、dust collector、shaft mill、rolling machine、drier、crusher and conveyor and so on. Copyright © Jiangsu Pengfei Group Co.,Ltd. All Rights Reserved.